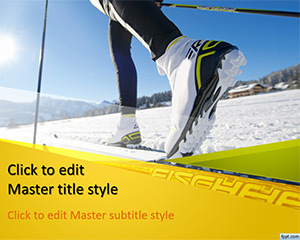 Fencing PowerPoint Template is a free sports PowerPoint template with Fencing theme that you can free download for presentations on Olympics games. 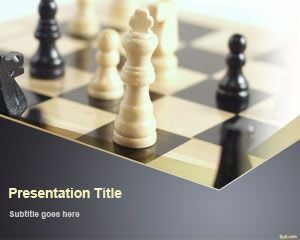 Free Fencing PowerPoint slide design can be enhanced with sport pictures and competition charts. You can download PowerPoint backgrounds and slides for presentations in Microsoft PowerPoint 2007 and 2010. 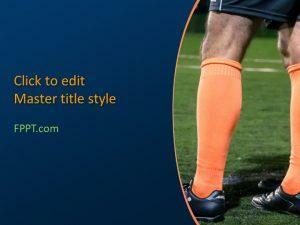 Backgrounds related to different sports include free American football PPT slides and free Run trainer PowerPoint theme. 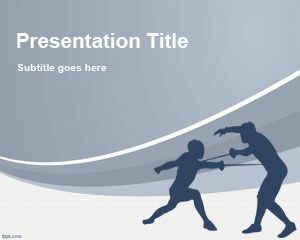 Free Fencing PowerPoint background is useful in inviting people for sparing. It is also useful in noting down the score made by each player in a match. 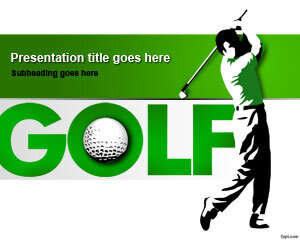 You can add charts in this PowerPoint presentation, and give it the appearance of a scorecard. You can also write down your favorite game and ask your friends to play with you through this free PowerPoint template. 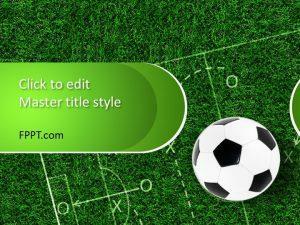 Tell your friends about the particular game, how to play it, and the records made by players in each match of the tournament. 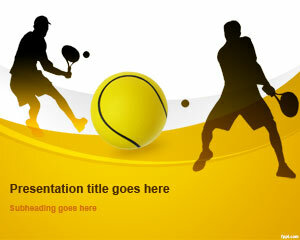 You can make PowerPoint presentations based on different sports by using Fencing PPT slides.